Although it’s not very wintry where I live, normally at this time of year I am thinking ahead toward summer and, more specifically, to any writers’ conferences I might attend. I’ve been to a lot of conferences. Too many, possibly, and after each one I usually tell myself that it’s my last, that I’ve had enough and am burned out. Plus, at this point it may not be the best use of my time. I should spend the money and the time going somewhere to write–not to workshop. That’s what I told myself last year. 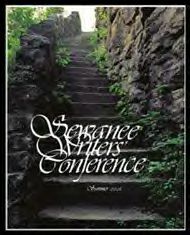 After all, in 2010 I had been a Fellow at the Sewanee Writers’ Conference, which I love, and since I couldn’t go back there (I’ve never heard of anyone going back as a participant after they’ve been a Fellow), I planned to stay home, work in the garden, write, etc. But then I heard about people who were going to Tin House and Bread Loaf and I began to feel jealous. (I haven’t been to Tin House, but I’ve heard very good things about it, and they always have a terrific faculty. I’ve been to Bread Loaf twice, and it’s excellent, but very expensive.) I began looking around and I decided to go to the Tinker Mountain Writers’ Workshop, partly because it’s convenient–it’s only 80 miles from where I live–but mostly because the “Advanced Novel” workshop was being taught by Fred Leebron, whom I knew to be an excellent teacher. Tinker Mountain is no Sewanee in terms of the campus or the atmosphere or the social programs, and there are far fewer writers at Tinker Mountain. But it has a terrific faculty and I learned a lot that I was able to apply as I continued to work on my novel. I’d even consider going back to work on my new novel. And there are many other conferences out there. Your experience will depend mostly on the faculty you work with, and that’s as true as Sewanee as it is anywhere else. But now is the time to apply. I highly recommend Sewanee and you should also take a look at Tinker Mountain. >Hi, Cliff. I'm wondering about your experiences with networking at conferences. Have you ever attended one and found people willing and able to help beyond the conference dates? Were you ever able to foster any longer-term writerly relationships? >Certainly the relationships you build with your peers continue. Sometimes you'll hit it off with faculty and relationship will also continue. For example, I've had recommendations from conference faculty and even blurbs for books, and a referral to an agent. I've also stayed in touch with editors and agents I've met at conferences. So, a big YES, the networking is significant.